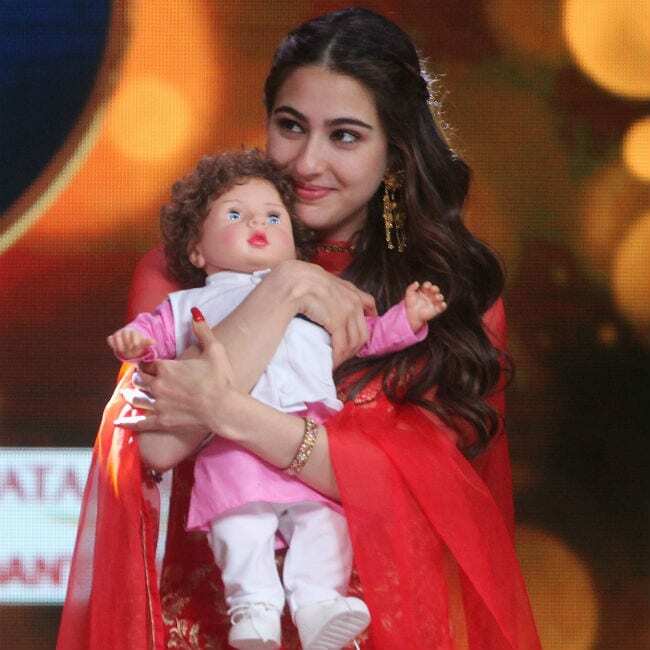 Remember the Taimur-inspired doll, pictures of which circulated on social media all of last week? 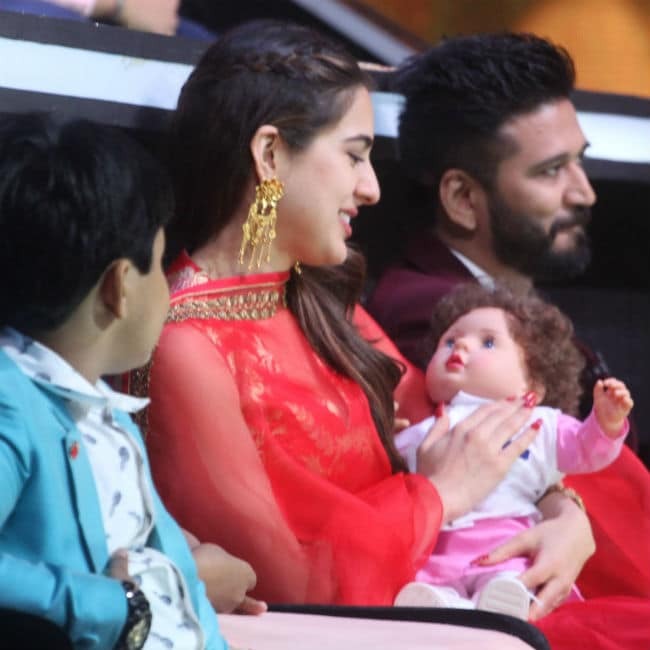 Taimur’s sister Sara Ali Khan was recently spotted with it on the sets of singing reality show Sa Re Ga Ma Pa, where she promoted her debut film Kedarnath. Pictures of Sara holding the doll and cradling it in her lap are all over the Internet. 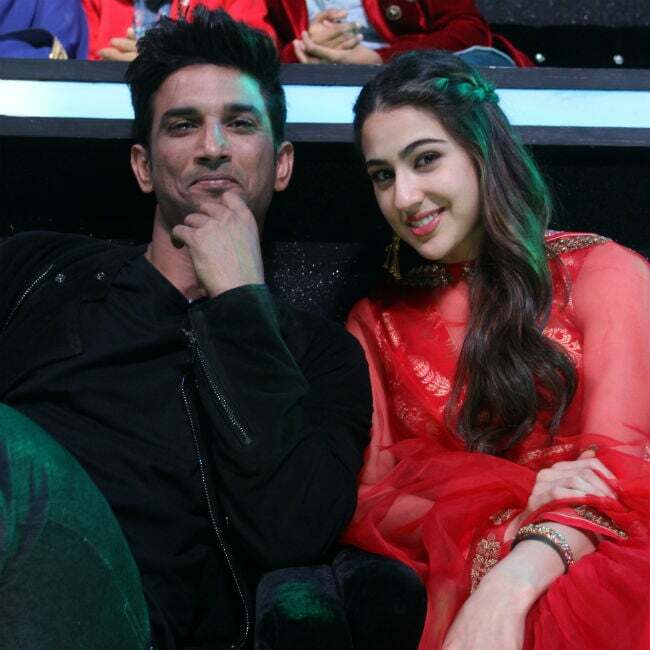 She promoted Kedarnath on Sa Re Ga Ma Pa with co-star Sushant Singh Rajput and going by the pictures, it appears that the actors had a gala times. Sara was dressed in a red sharara and looked beautiful. Take a look at the pictures here. Taimur, who will turn two-years-old in December, is the son of star couple Saif Ali Khan and Kareena Kapoor.